If you are an MBA student or studying any Management course, this question must have crossed your mind at least once. When students join Management colleges, they harbour hopes of learning the tricks of leading and managing big companies tomorrow. However, their hopes are dashed as they are burdened with outdated methods of learning like unnecessary assignments, case studies and presentations. Most of these assignments are mere writing exercises to keep the students busy, time which could have otherwise been spent on developing more useful skills like soft skills or people management skills. Still, you need need to complete these assignments if you want that coveted MBA degree. International students face an even more challenging task as English is often not their first language. They may be extremely smart, yet they fail to cope up with juggling different Management assignments. Due to unclear assignment instructions, unhelpful professors, and tight deadlines, it is easy to get stuck with an assignment. Add to it the pressure of a part-time job and the need to maintain a healthy relationship, and the situation becomes even more difficult. They become disillusioned and suddenly their dreams of a well-paying Management job and a permanent residence status look blurry and far-fetched. It is natural for them to look for professional assistance in writing Management essays or assignments. In fact, MyAssignmentExpert.com has helped thousands of such students from across the world in the last year itself. Why do students choose MyAssignmentExpert.com for Management essay writing? Note of caution: A quick Google search will reveal thousands of websites willing to assist you, some at ridiculously low prices starting at $9.95 per page. However, most of these websites are dodgy to say the least and you must be very careful while selecting your essay service provider. Remember that: “you get what you pay for.” At the other end of the spectrum, there are services charging absurdly high prices of $50-100 per page. These websites will promise you the moon and deliver zilch. We have prepared a quick guide to help you in selecting a reliable assignment help provider online. Which Management subjects can you assist me with? If a subject is not mentioned in the above list, it does not mean that we cannot assist you. There are hundreds of Management subjects taught under varying names in different Universities and it is not possible for us to list all the subjects here. 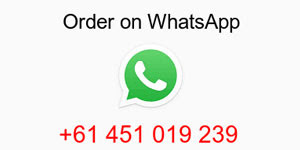 If you need help with such a subject, do not hesitate to contact us via WhatsApp (+61 451 019 239), Live Chat or email ([email protected]). We will make sure that our expert understands your requirements and is confident of meeting them satisfactorily before we give you a quote. What is the profile of your Management writers? The Management writers at MyAssignmentExpert.com are former students from premier MBA institutes in Australia, New Zealand, Singapore and other countries. They are selected after a rigorous selection process involving an English proficiency test and a test assignment. Our writers have most likely attended courses similar to the ones you are attending now. They know exactly what professors look for in their essays and possess the required skills to meet those demanding requirements. Management professors expect that students use subject-specific jargon and frameworks in their assignments. For example, if you are preparing evaluating the external environment of an organisation in a Strategy assignment, you will be expected to use frameworks like PESTEL or Five-Forces model. Similarly, if you are preparing a Leadership essay, you will be expected to use relevant Leadership theories and models. As our writers are former students, they are familiar with these terms and frameworks and can effectively apply them in your essays. This will boost your chances of a high grade. More importantly, our writers are thorough professionals and understand the importance of writing originally and meeting the deadline. 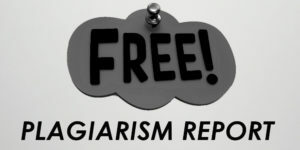 When you choose MyAssignmentExpert.com, you will never get unpleasant surprises such as a failed plagiarism test or not receiving the assignment on time. We are so confident of our professionalism that we offer money back guarantee if we don’t meet these standards. How is your Management essay writing service different from other websites? We hire only the best writers: Our selection process involves an English proficiency test followed by preparation of a test paper. This selection process is so rigorous that less than 1 in 70 applicants get to join our team of academic writers. As we hire only the best writers, we can promise to deliver the best quality to our clients. Maker-Checker model: We have a full-time editorial team whose job is to check each submission against the requirements and to conduct plagiarism check. Only after we are confident that the essay adheres to a high academic standard and is in ‘ready-to-submit’ condition, we submit the essay to our clients. Unparalleled after sales service: We are in this business for a long haul and we understand that after sales service is very important to retain our clients. If you have any suggestion or lecturer feedback to improve the essay, we will do the amendments FREE of cost (conditions apply). We want you to be 100% satisfied with our service and we assure you that “your money will remain yours until we have met your expectations.” Our customer-friendly policies have helped us to retain more than 80% of our clients, the highest figure in academic writing industry. What grades can I expect if I decide to hire MyAssignmentExpert.com? Share the marking criteria: Most professors provide a marking rubric for their assignments. This rubric provides an indication on which part or section carries the maximum weight so that we can give these parts adequate attention and you can score well. Share relevant resources: Professors like to see their course material being put to good use in their assignments. If you share the relevant lecture notes, presentations or any reading material with us, we can derive insights from these resources and use them in your assignments. It will boost your chances of a higher grade. Keep sufficient time for reworks: No one likes reworks, but they are an essential part of academic essays. If you show your essay to your professor once before submission, you can get useful feedback on how to improve your grades. You can send us this feedback so that we can incorporate it in the final draft. We recommend that you keep at least 24-48 hours for any reworks. Use our premium service: If you still want an assurance of a high grade, you can always choose our premium service. You get access to a top 3 subject writer which will greatly improve your chance of a high grade. Also, you get a money back guarantee on the premium paid if you do not receive at least 60%. 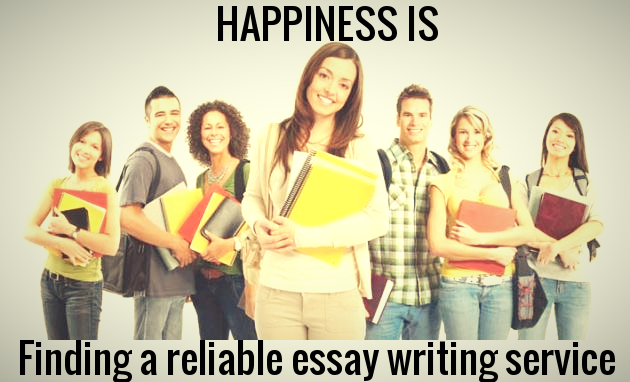 Read more about our premium essay writing service here. How do I place an order for my Management essay with MyAssignmentExpert.com? We have a very simple 3-step essay ordering process. Send us your requirements: Use WhatsApp (+61 451 019 239), Live Chat or email ([email protected]) to send us your Management essay requirements. Remember to mention the subject name, exact topic, word/page limit, referencing requirements, deadline, and any other instructions. Get a quote in 1 hour: Our team will review your requirements and give you a quote within 1 hour. We don’t give automated quote as we want to be absolutely sure that we can meet your requirements so that you do not face last minute disappointment. Make payment and relax: You can make payment for your Management essay using credit/debit card or PayPal. Your payments are secured using a 256-bit encryption and your credit card details are not shared with us.